The costs and complexity of AML compliance checks are rising. Financial Services firms are allocating increasing budgets and manual resources to validate their customers but their processes can still fall short of increasingly stringent rules on global compliance standards. Despite all the additional effort expended, manual and paper-based AML and compliance checks often result in dissatisfied customer, slow on-boarding and lost opportunities, as well as a negative impact on operational efficiency. In a competitive market customer/client onboarding processes need to be fast, straightforward and as automated as possible. At NorthRow we work with a number of leading Financial Services firms to automate their AML, KYC and IDV checks, streamlining the customer onboarding process via a single, easily integrated API, improving the customer experience, whilst reducing costs. Clients expect a seamless onboarding experience, and the first touch point is crucial in setting the expectation for the rest of the customer journey. Onboarding a new client represents the best time to mitigate your business risk or to detect and manage potentially risky accounts before they become problematic. 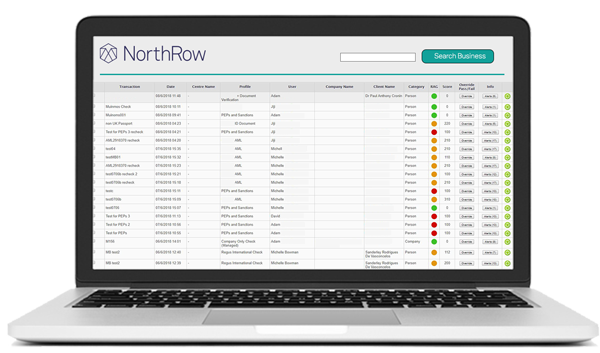 With access to one of the largest databases of information available from multiple data sources, NorthRow’s technology can perform comprehensive AML, KYC and IDV checks on People, Companies and ID documents in real-time, giving you actionable data, before you onboard your clients. 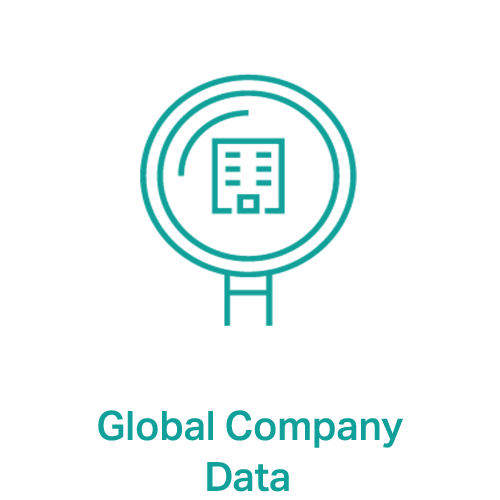 NorthRow offers comprehensive coverage of global AML risk data sources including sanction lists (such as OFAC, UN, HMT, EU, DFAT, and many more), law enforcement data and trusted commercial suppliers from around the world. We can also help you with compliance in the areas of the EU Directives, anti-money laundering, FATCA, and general reputation risk management and business partner due diligence. Our detailed, reliable data from trusted commercial suppliers also helps you minimise reputational damage and risk exposure. Global PEP & Sanction registers with over 65 Billion data records - including to all sanctions Lists, Including OFAC, EU. It is not enough to perform comprehensive AML checks during the initial client sign-up phase. To ensure you remain compliant with AML regulations, you must continually monitor your clients for any changes in company structure, Beneficial Ownership or Directorships. NorthRow's AML platform will continually monitor your customers for changes and you will be alerted in real-time as to those changes, helping to ensure you remain compliant. 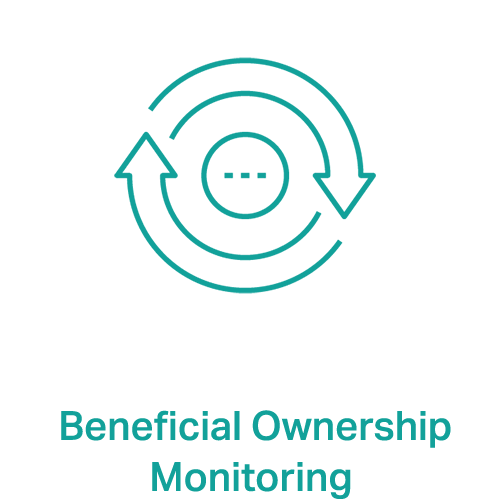 Learn more about NorthRow’s Beneficial Ownership monitoring service below. In a complex regulatory environment an AML solution that is flexible, comprehensive, and that provides user control over rules and thresholds, is vital. NorthRow offers a range of flexible options including a SaaS application and a Single API. Depending on your client onboarding workflow, you can choose the option that will best serve your business needs, or you can choose a hybrid option of both on-site and SaaS solutions. NorthRow’s Sinlge API: NorthRow’s single API can integrate easily with your existing online forms, and can check a variety of international ID documents including; Passports, Biometric Residence Permits (BRPs), Visas and National ID cards. SaaS Application: NorthRow provides a SaaS App in addition to its Single API. Compliance teams can use the application to review checks, to download PDF reports and to add notes for audit & case management. All data is secure and user account access requires two-factor authentication ensuring security giving the client peace of mind. NorthRow provides Modulr Finance with automated AML, KYC and KYB checks via a single, easily integrated, helping to streamline client onboarding.